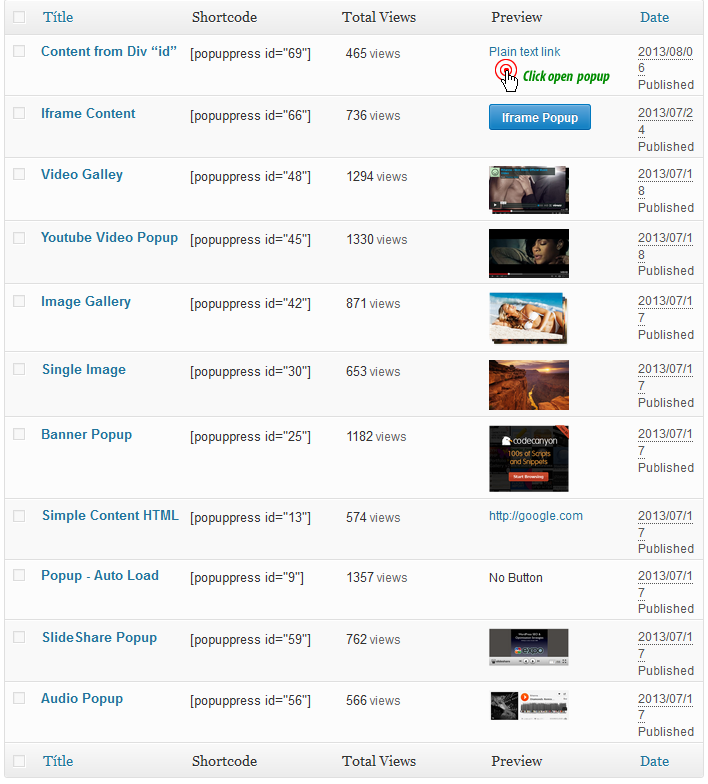 It also has a simple system statistics for the number of views of the popups. 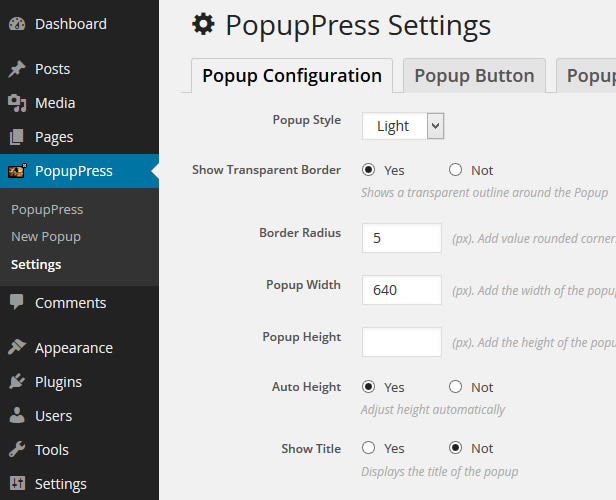 Create popup easily with Popuppress. 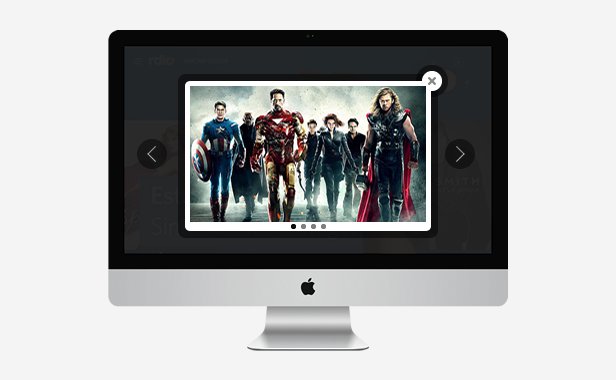 Slider and Lightbox Popup – PopupPress has a Slider images or videos, allowing you to use PopupPress like Lightbox to show any kind of Gallery. New – “Loader Text” option for iframes. New – Support for nested popups. 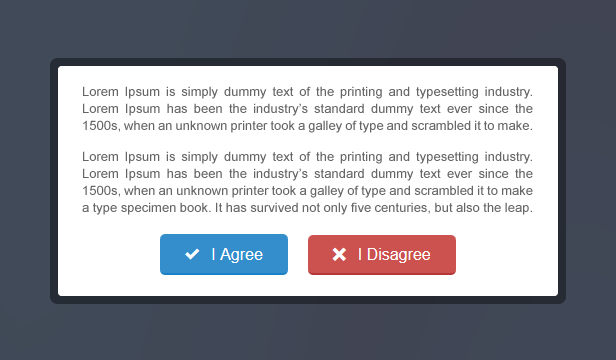 New – Added “Target” option to Disclaimer popup. New – Added “Remove cookie” popup option. New – I have optimized the load of the popups. New – Added two callbacks functions for each popup “ppsOnOpen/ppsOnClose”. New – New field to Custom CSS Styles. New – Added “Image of Overlay” popup option, Now you can add an image to the background overlay.